Karlsruhe, Germany – 18 September 2013 – Altium Limited, a global leader in Smart System Design Automation, 3D PCB design (Altium Designer) and embedded software development (TASKING), and its UK value-added reseller Premier EDA Solutions will showcase the industry leading electronics design tool Altium Designer at the Electronics Design Show in Coventry on 2nd – 3rd October 2013. "We are delighted to be headline sponsors with Premier EDA Solutions. The UK electronics design community will be amongst the first to see the latest and exclusive previews on new products.” says Frank Krämer, Director Global Solution Marketing & Partnerships with Altium. In a showcase of UK innovation, stand visitors will be able to see some of the exciting products designed and built in the UK using Altium Designer. "We share a common passion with show organisers Findlay Media for the success of UK engineering and are very much looking forward to showcasing some of the fantastic technology designed using our products," says Phil Mayo, MD of Premier EDA Solutions. 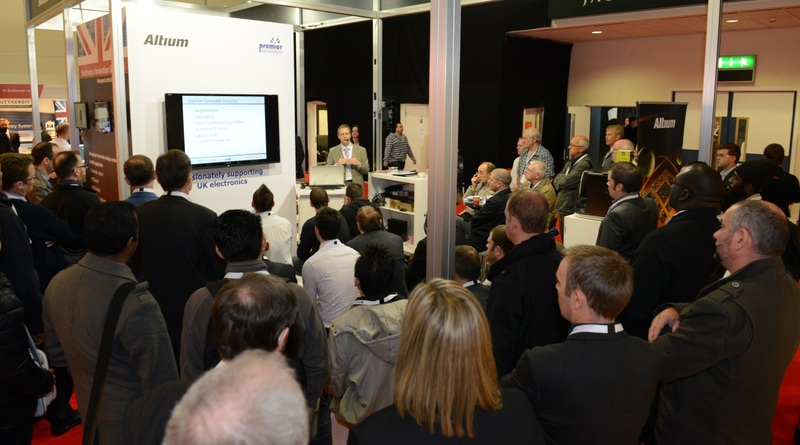 Taking place 2nd – 3rd October 2013 in the Jaguar Exhibition Hall at the Ricoh Arena, Coventry, the Electronics Design Show aims to provide UK design engineers with all aspects of electronics design under one roof. Alongside seeing technology from more than 80 exhibitors, visitors will also have the opportunity to access best practice learning during a 2-day conference and free workshop program. As part of the workshop sessions, Altium industry specialist Robert Huxel will be providing practical tips on tackling today’s electronics design data management challenges, from concept right through to production. There will be a number of exciting announcements for the show, so make sure to follow Premier EDA Solutions on Twitter (@PremierEDA2013) for the very latest developments. More details and information on how to register for the workshops are available here. Altium Limited (ASX:ALU) creates electronics design software. Altium’s unified electronics design environment links all aspects of electronics product design in a single application that is priced as affordable as possible. This enables electronics designers to innovate, harness the latest devices and technologies, manage their projects across broad design ‘ecosystems,’ and create connected, intelligent designs. Founded in 1985, Altium has headquarters in Shanghai, and operates worldwide. For more information, visit www.altium.com. You can also follow and engage with Altium via Facebook, Twitter and YouTube. Premier EDA Solutions is one of Altium's leading resellers worldwide, operating in the UK and Ireland with customers in virtually every aspect of modern electronics design. This ranges from Formula One Grand Prix racing teams to the military, consumer electronics, research institutes and more. In addition, Premier is dedicated to providing essential skills for the UK electronics industry by operating an extensive training programme and is an IPC Authorised Training Centre. For more information, visit www.eda.co.uk.